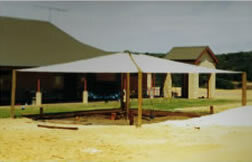 Our Lady of the Cape is a Catholic co-educational primary school that was established in 1996. The school now has full double stream facilities catering for students from Kindergarten to Year 4 and single stream for Years 5 and 6. The establishment of our school was made possible through the financial support provided by St Joseph’s Parish, Busselton and the commitment of the Dunsborough Faith Community. 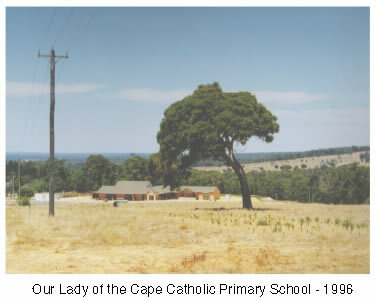 Our Lady of the Cape is a group funded school of the Catholic Education Commission of Western Australia and is managed on a local level by the Our Lady of the Cape, Dunsborough, Catholic School Board. An active group of Dunsborough residents commenced canvassing for a Catholic school in 1992. After contending with many hurdles, approval was finally given for the establishment of a Catholic school. Fr Leon Russell and the initial Steering Committee were instrumental in the establishment of Our Lady of the Cape Primary School. 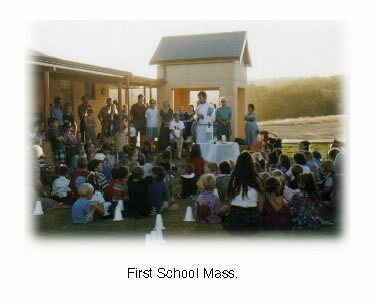 Our Lady of the Cape commenced operation in 1996 with an enrolment of 82 students from Preprimary to Year 3. 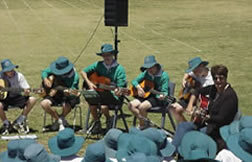 It was originally planned for a Catholic school to be established in Dunsborough in 1998 however there was a strong push from the local community to open in 1996. This eventuated, however all initial capital costs were to be met by the Dunsborough Community until 1998 when system support would be made available for capital purposes. 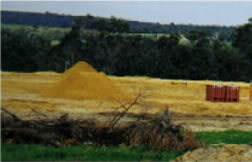 The parish was most supportive of the movement to see a Catholic school built in Dunsborough. A unique feeling of community was established even before the first school year commenced. The initial information meetings were held in the Church and our first P&F meetings were held there also. The support by the parents was quite extraordinary. 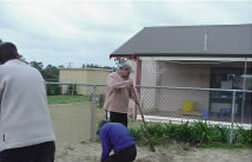 Special events that marked the beginning of the school development included the picnic at Meelup Beach to distribute school uniforms and the ‘Sausage Sizzle’ on the oval site to pick up sticks and rocks. As is quite common with building programmes, the builders were running behind schedule and the facilities were not made available until the Friday before the school was set to open on the following Tuesday. Parents went to Perth with a truck to collect furniture and equipment (this saved precious dollars) and other deliveries appeared from many different sources. 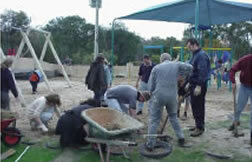 Staff, parents and some smaller willing helpers worked non stop over the weekend and the school opened on Tuesday January 31 1996 with everything prepared including administration. There was a wonderful feeling of achievement when the students came on day one. The architect, Ronald Hawkins is to be commended on his excellent school design. Something else that is unique to Dunsborough is the newness of its establishment as a country town. 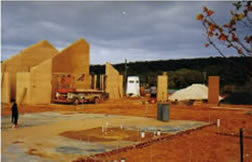 It has no rural or mining industry but is built mainly on the recently established tourism and wine industry. This means that very few families have extended family influences in town. Therefore family groups form strong social bonds to balance the lack of extended family and the benefits having extended family brings. This introduced a special characteristic into our school community. Three building stages have been completed to provide full single stream facilities. These initial years were very busy however the end results have made all the effort by our community worthwhile. 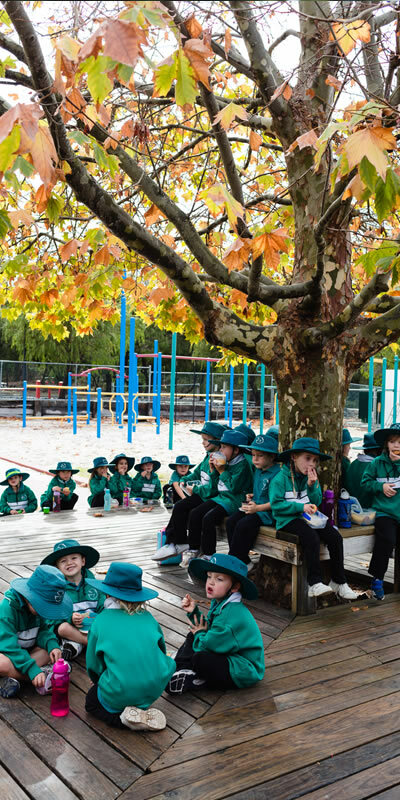 Our enrolment is now approximately 280 students with full double stream facilities from Kindergarten to Year 6. Essential steps are now being taken to formulate a new capital development plan so that preparation for possible double stream development can be undertaken. The Kindergarten commenced operation off campus in 1997 and was built on campus for the commencement of the 2001 school year. The first steering committee was established in 1995 and became the Interim School Board. 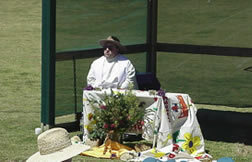 The first chairperson was Mr Ray Davern who worked extremely hard in establishing the school. Ray sadly passed away in 2001 however he has left us with a wonderful legacy. Since 1995 the various school boards have provided excellent support for the school and saw three stages of our Capital Development Plan through to fruition. The name was selected because of our geographical location and a spiritual connection with the original Our Lady of the Cape location in Canada, where a number of miracles had taken place. We also share a special devotion to Mary as our name suggests. The original Our Lady of the Cape parish in Canada had to struggle to overcome numerous hardships and this resembles the path the Dunsborough Community followed to see our school come to fruition. Motto – Many Hearts, One Voice. The motto reflects the diversity and individuality of the many gifted and unique people that are part of our school community and will continue to be so for many years. The heart is a major organ of the body and is essential for life. The heart is also a universal symbol for love. The motto identifies the need to respect the individuality of each member of our community who is also united in a common vision.